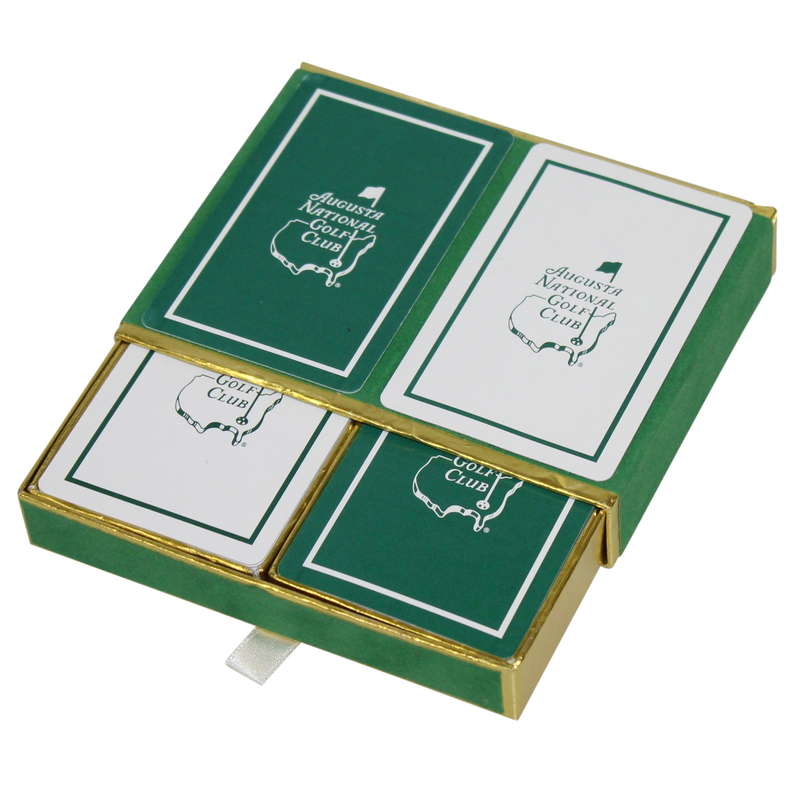 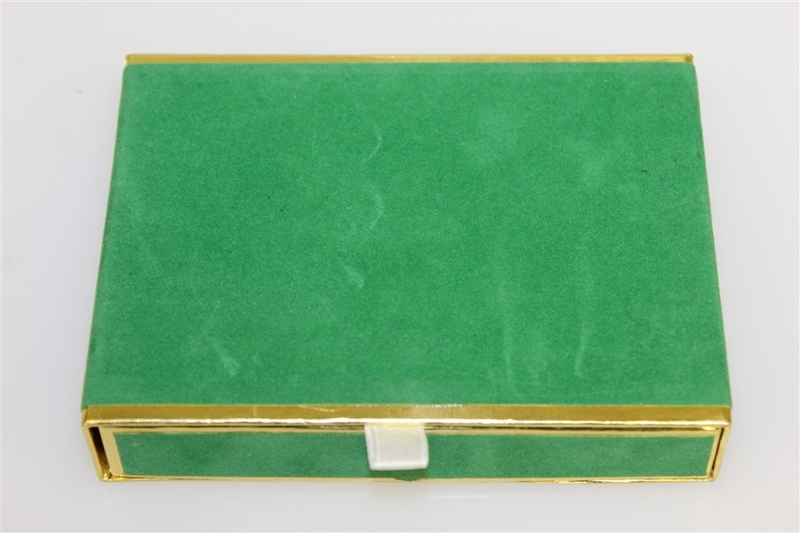 Offered here is an item only a guest at Augusta National Golf Club can collect, a two deck Masters playing cards set. 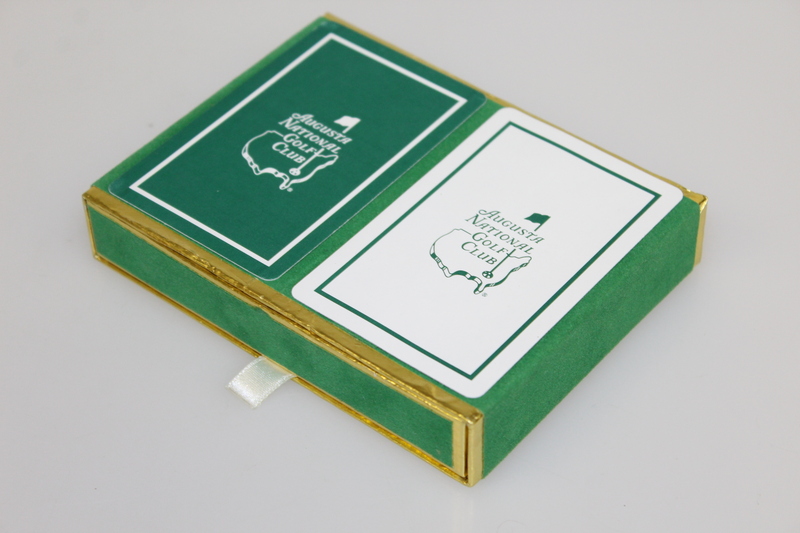 These cards can be found inside the pro shop at Augusta National, but good luck finding them anywhere else. 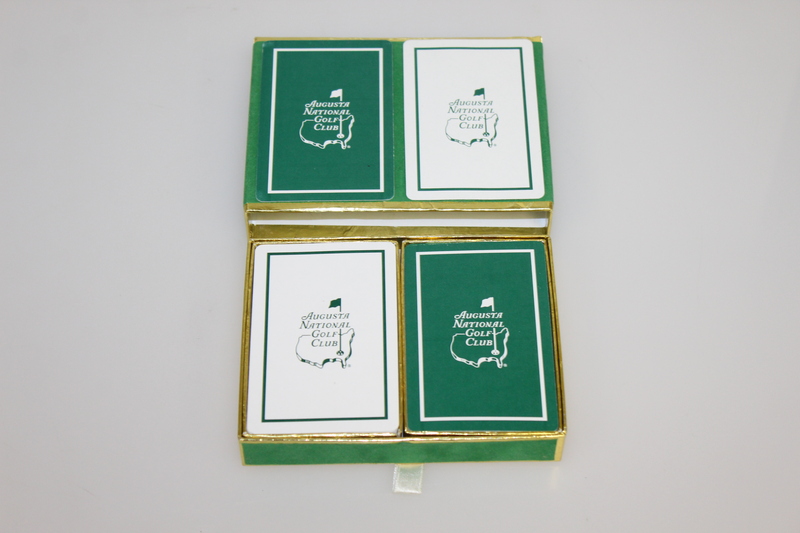 This card set would display nicely for the Masters collector or is ready for play.